The loss of Hobart Baroque after its second iteration in 2014 was widely lamented as a major blow to cultural life on the island state, but two ambitious initiatives have sprung up to fill the vacuum it left. One is the Tasmanian Chamber Music Festival which began last October: see our earlier story on this. Van Diemen’s Band is another. Debuting in Ten Days on the Island Festival in 2017 and following closely in spirit to Hobart Baroque, this chamber orchestra specialises in historical performance practice of the seventeenth and eighteenth centuries. Van Diemen’s Band, which includes Tasmanian Symphony Orchestra players, is directed by the esteemed Melbourne-born Baroque violinist, Julia Fredersdorff. While living in France for nearly 10 years she played with leading ensembles there, including Les Talens Lyriques, Les Folies Françoises and Le Parlement de Musique. Since returning to Australia, she has co-founded Latitude 37, Ludovico’s Band and Ironwood, and runs the Peninsula Summer Music Festival in Victoria. So she brings impressive experience to reinvigorating Baroque music in Tassie. And the signs are looking good that one day Van Diemen’s Band might be able to reignite Baroque opera for Tasmanians. So far, the group has performed arias by Bach, Vivaldi and Handel with baritone David Greco, Vivaldi recorder concertos with Genevieve Lacey, and Neapolitan cello concertos with Catherine Jones. However, it all gets much bigger when 40 Baroque musicians from around Australia come together a performance VDB is convening of Lully’s sumptuous opera ballet of 1681, Le Triomphe de l’Amour. The event, which takes place as part of a French Baroque Workshop that VDB is running at Salamanca Arts Centre from 20-25 January, will be the largest of its kind held in Australia. 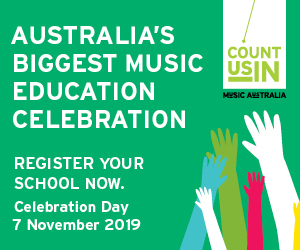 Rather than having to travel overseas for tuition, amateur and pre-professional musicians will be able to stay in Australia and tutors come here instead. These will be keyboard specialists Martin Gester and Aline Zylberajch from Le Parlement de Musique, along with Fredersdorff herself. Learning French style is something many musicians feel is necessary if they are playing music of the Baroque period, she believes. “It leads to a greater understanding of dance and the phrasing that lies within that,” she says. French Baroque workshop is also running a series of lunchtime concerts in various locations around Hobart. The event is being supported by Salamanca Arts, which has provided scholarships for younger musicians to attend. Find details here and on VDB’s website. Times are buzzy right now in Tasmania, with MOFO on until 22 January.